Share your experiences with Scrambler 1100? 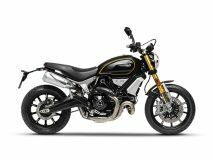 Ducati’s new Scrambler 1100 is a bigger version of their back-to-basics champion. Is there sense behind this contradiction?